Remember terrible boardgames like Monopoly and Risk? Remember how, despite the fact that they would often pack only a half-hour of fun into three long hours of waiting for someone to just win and put everyone else out of their misery, you would still go back to them time and time again because there was something special, something almost magical, about gathering around a table and playing boardgames with your friends and family? 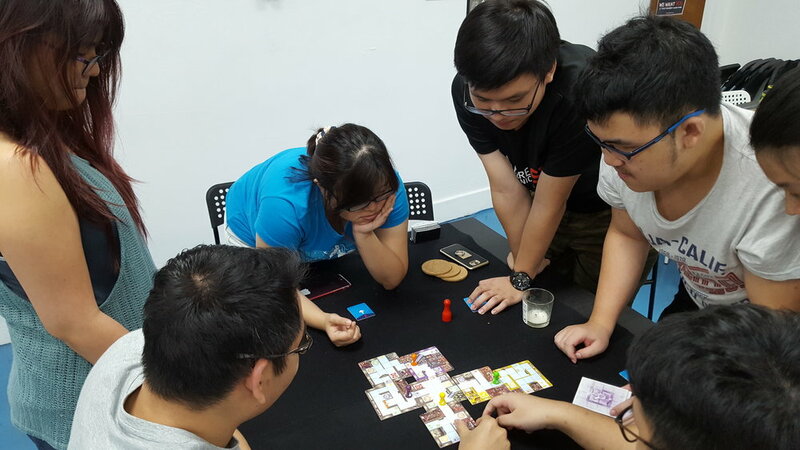 At Experience Point, we love tabletop games: be they boardgames, card games, or pen-and-paper roleplaying games, as long as they can be played on a table, we love them (and probably have them in our library of 200+ games). 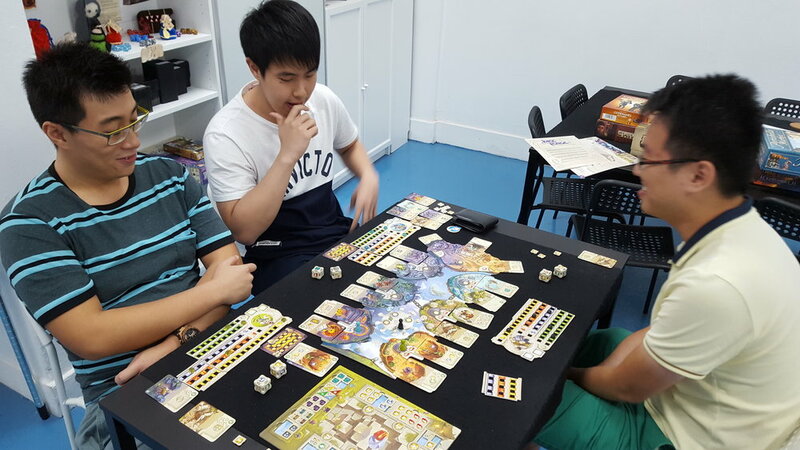 We would love for you to experience the same joy and wonder that we felt when we first encountered the modern boardgaming revolution; and, at just $4 per hour (to a maximum of $12 per day! ), there's really no reason why you shouldn't. No word of a lie, we timed the walk ourselves. Click on the video above for a video walkthrough, or here if you prefer badly-written text directions. If somebody's driving you here, it's closer for you to stop at Jalan Besar Stadium, just outside the entrance to the People's Association building, then follow these badly written instructions. If you're driving yourself, park at the multi-storey carpark located at 808 French Road, go to level two, and then fumble your way towards the adjacent Blk 803. 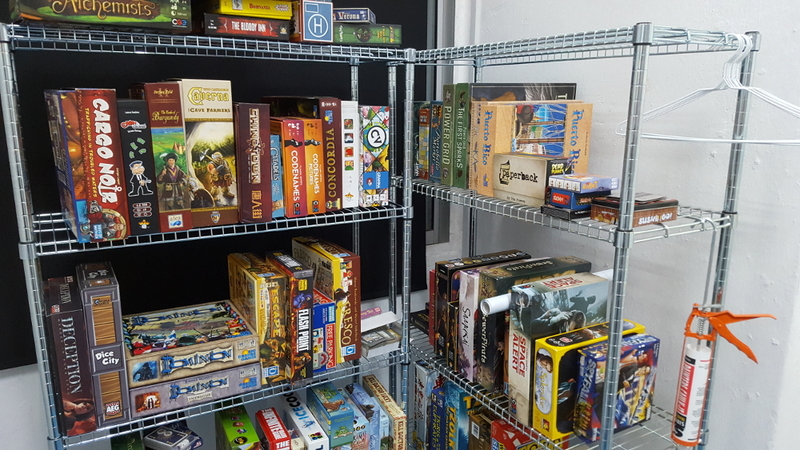 The world of modern boardgaming is large, confusing, and mostly full of tat; which is precisely why every single game in our library has been personally tested for maximum fun. While some may lament the lack of classic titles like Risk or Scrabble, it is our hope that our handpicked games about competitive knitting, murderous abbey monks, and square pig farming will more than make up for their exclusion. If you've ever read a novel, watched a movie, or played a game and said to yourself, "I would have totally done something different if I were that guy", then you've felt the urge to play a tabletop roleplaying game like Dungeons and Dragons. In these games, your character can do just about anything. Want to climb a nearby trellis so that you can stab the giant in the eye? Why not! Want to hire a mercenary army to kill the giant instead? Sure! Want to sit down and have an oversized cup of tea with the giant so that you can deal with the problem diplomatically? Go ahead! "Really great place! Sometimes the owner demeans me but it&apos;s chill because I'm a masochist. 6 broken dreams out of 5." Games! People! People playing games! D&D: not just for nerds anymore. Well, OK, still mostly for nerds. But not just for nerds anymore. Normal people welcome. A crowd favourite, played whenever there's two rooms... and the need for a boom.